I know this is old news already but I wanted to share with you my experience with using cauliflower rice vs. rice. I can admit to a fair amount of skepticism when I first heard about cauliflower rice from my paleo and grain-free friends. No way a crunchy cruciferous like cauliflower could convince me to pass up some rice with my dinner. Well I was in for an awakening when I recently started using cauliflower as a grain substitute. So I thought I’d share with you why. Rice is a controversial ingredient in nutrition circles these days. On the one hand, some nutritionists call it an empty source of calories and recommend avoiding it. Others consider it as a safe carbohydrate. But aren’t carbs bad for you? Carbohydrates get a lot of negative press in the nutrition and fitness community! But why? I don’t know about you, but I love carbs and so do our bodies. It’s our bodies main source of energy. The key is choosing them wisely, focusing on good quality, and proper timing of when you’re eating them. Timing being very important (I’ll explain more later). Rice comes in many varieties not just the most popular white, jasmine, basmati, brown and wild (wild being the most nutrient dense). The safety of rice consumption varies based on the individual, cultural background and what the rest of the diet looks like. For those already consuming a diet high in other carbohydrates and low in minerals, rice (or any grain for that matter) isn’t the best option. Those on a high nutrient diet, that avoid inflammatory foods and have an active lifestyle may do great with moderate amount of rice consumption. We typically eat rice on heavy workout days or after a lot of activity, usually because I’m super busy and probably haven’t been eating enough. But we always eat it presoaked with other high nutrient foods and not everyday. When we first started eating cauliflower rice it was to reverse our cavities, (yes, I’ll share more in another post) we had to avoid foods that were high in phytic acid, and brown rice was high on this list. I also know that when trying to heal anything in or on the body eating foods that are light and easily digestible allows the body to put energy towards healing, rejuvenation, and rebuilding rather that just to maintain. I’m a BIG believer that having a variety of fruits, vegetable, nuts, seeds, legumes, grains and as many leafy greens as possible will give you a well balance diet. But knowing when to use them is important and usually a challenge. It’s all about being aware of your body and what it needs. Let’s use my cavity for example, obviously my body was showing me that something in my diet/ lifestyle was unbalanced and needed to change, prior to shifting my diet, I was a high carb sugar addict and eating processed foods was an everyday occurrence. Knowing what I do now I can shift my diet to what I need and bring it back to balance, while and making sure I’m getting the nutrients my body needs to produce healthy teeth. This can concept can be used with any health issue, if you have problems with digestion, your skin, maybe your hair is really dry, let food be your medicine. How To Make Your Own Cauliflower Rice! Cauliflower rice is super easy to make and surprisingly grain-like. No, it probably wouldn’t win in a side-by-side taste test with white rice, but it definitely comes close. It’s light and fluffy, while also being tender and has just the right amount of chew, just like rice. Here’s a true story, my hubby gave this a try having no idea it was cauliflower rice, I made it with my favorite Channa Masala recipe and he was shocked when I told him that I used cauliflower rice instead of basmati rice. It was funny, he’s sometimes stubborn to try my healthier concoctions. I love tricking him! Because rice can often leave dishes feeling heavy, it’s nice to have a substitute for when your body craves something a little lighter. In addition, it’s a great way to squeeze more servings of vegetables into your day, which is always a plus. When making cauliflower rice there are two techniques you can use. You can either use a box grater or a food processor. I like the food processor since it’s saves time and energy. 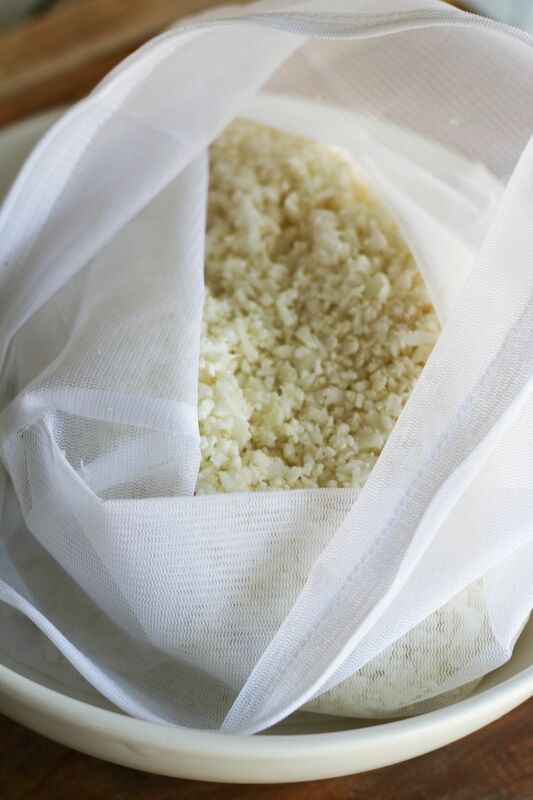 I also like to squeeze out any excess moisture from the rice by transferring the cauliflower rice to a large paper towel or even a nut milk bag. This ensures no excess moisture remains, which can make your dish soggy. 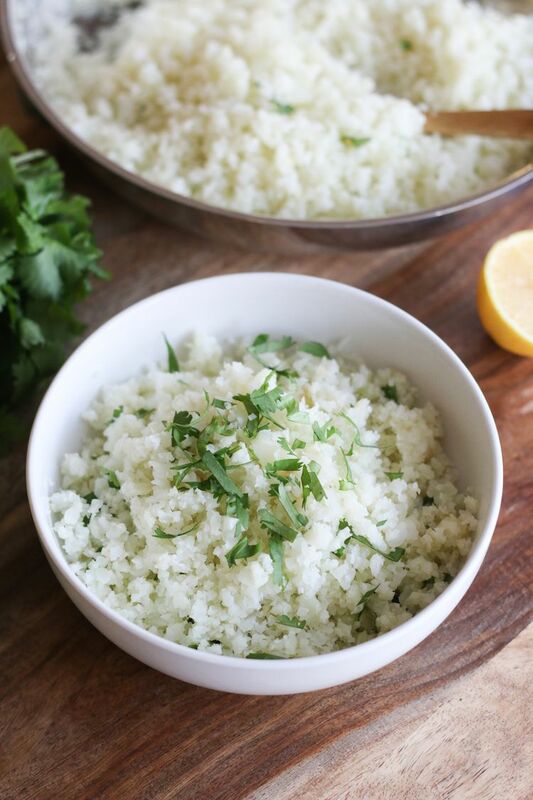 Once you have your raw cauliflower rice, it’s super easy to cook! Simply place it on a large skillet over medium heat, using a lid to cover so the cauliflower steams and becomes more tender. Cook for about 5-8 minutes, stirring occasionally, then season as desired. I like to add a little salt and pepper, a squeeze of lemon, and fresh herbs. Easy cauliflower rice recipe. A perfect alternative to rice. 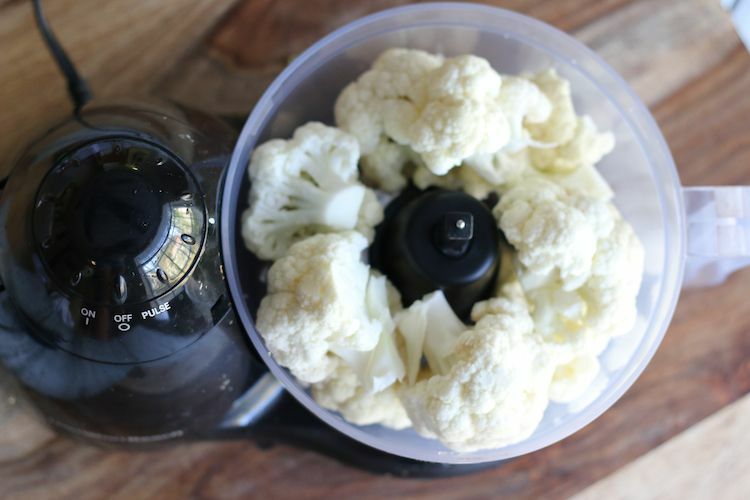 Wash and dry cauliflower, then remove all greens and cut into small pieces. 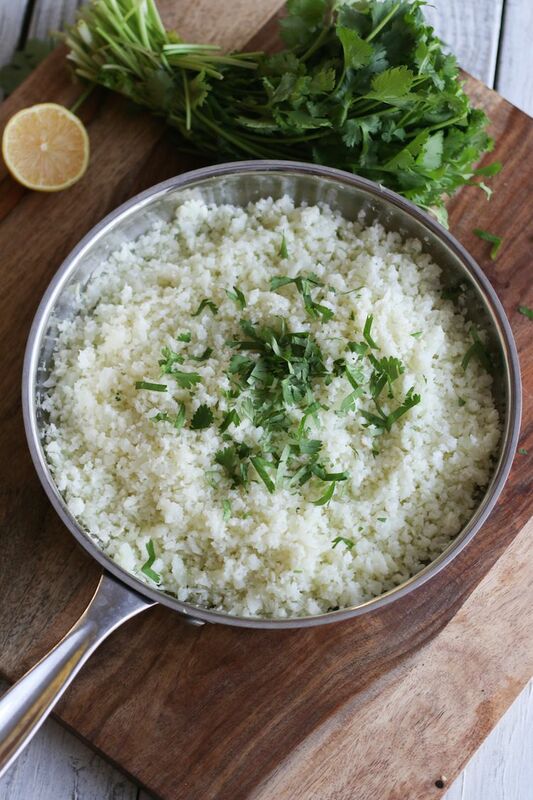 Using a box grater or a food processor, grate the cauliflower into rice size pieces. Squeeze out access moisture to avoid sogginess. Then place in a large skillet over medium heat, covering with a lid so the cauliflower steams and becomes more tender. Cook for a total of 5-8 minutes, then season as desired. Enjoy! But Cauliflower Gives Me Gas? So this is something you don’t hear when people recommend cauliflower rice as an alternative to rice. 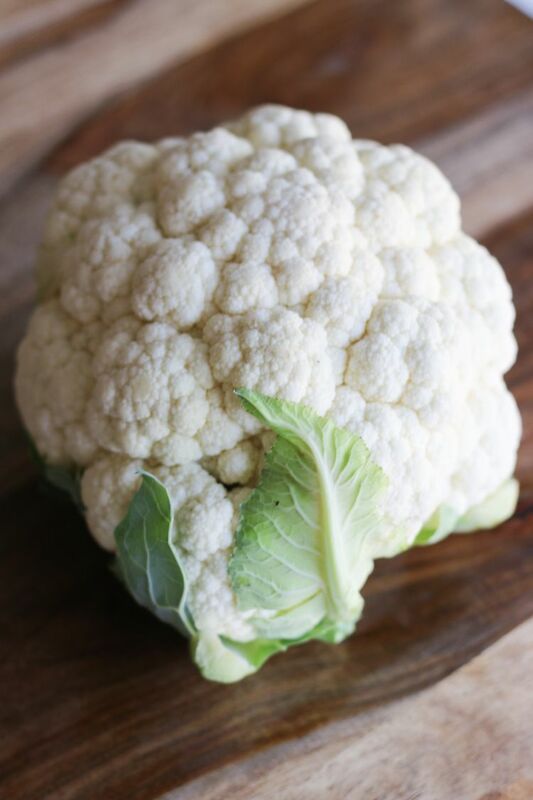 Maybe people are to shy to talk about it but yes, cauliflower gives you gas. At least for me anyways. Fortunately there are several things that help minimize this embarrassing side effect. It’s not uncommon to experience digestive discomfort when making changes to your diet. Also cruciferous vegetables, legumes and other healthy foods contain a number of nutrients which produce excess gas in the intestine. Here are some tips that I found that help prevent the embarrassment and discomfort that can be caused by eating these foods. Exercise. Moving your body allows gases to pass through your system easier and not get held up inside, creating bloating. Take Probiotics. Eat foods containing probiotics such as fermented foods. Probiotics aid in the elimination of gas and provide healthy gut bacteria that you need to digest food. Drink Tea. Basil, nutmeg, peppermint, ginger, cinnamon, coriander, saffron, spearmint, and thyme. Combine one of these with hot water and lemon, this helps reduce gas build up. I am in love with mint tea! Chew. When we chew our food completely this helps our body produce digestive enzymes that help to break down food properly. Build. Try to buildup your tolerance to gas-producing foods by eating a little every day. Start slowly to allow your body to adjust. However it is important to remember that everyone is unique, and different things will work for different people. This means you’ll need to experiment with the following tactics in order to identify what works best for you. I love rice, and I found the change, so easy, and really not that difficult to adapt to. As rice, cauliflower can pass really easily, same colour, same grainy look, and if cooked well, same ish texture. If left in the fridge, it can revert back to a bit of a smelly veg, so prepared and cook in 1-2 days, for best results. I just zap and cook. I don’t like the taste of cauliflower and comparing Coca Cola vs Pepsi there is a BIG different taste; I don’t like the taste of Pepsi…..